I am not in Tennessee right now, I am in Haiti. But I am trying to get caught up some on my Pilgrimage posts from when I was in the States last and was able to work on my sacred space bucket list. 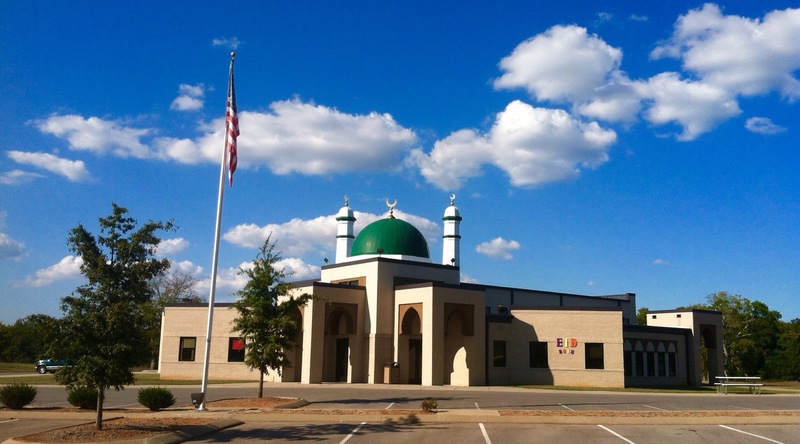 And highlighting this particular place, The Islamic Center of Murfreesboro, has been on my heart for a while, the more and more that I see Islamophobia normalized in the US and even celebrated within the current political campaigns, I wanted to share the example of this beautiful faith community there in Murfreesboro that has overcome tremendous adversity and still stood strong as a symbol of peace and tolerance. The mosque is one of the newest places on my list having only opened up in 2012, after a long and controversial process to build a larger location for the growing congregation there to gather and worship. Once they announced their plans for the building in 2010 they endured more than two years of protests, vandilism, threats, and arson from community members that didn’t want them to be there. They were even sued in an attempt to stop construction, but a judge ruled in their favor and the building continued. When they finally opened in 2012, the congregation celebrated their new space that stood as a triumph over hatred. The Imam Ossama Bahloul at that time encouraged his Islamic community there by reassuring them that they had reason to be proud because God knew they were strong enough to deal with all of the opposition that was thrown their way. That history in itself makes this place special as a sacred space that almost never was. But what is even better is that since then, this community of Muslims have made a conserted effort to establish their space as one that represents unity, understanding, and indeed community. Despite the violent reaction that they received, they have responded out of love and tolerance and become a place that brings people together in Murfreesboro rather than dividing them further. Let us stand together and build bridges rather than barriers, openess rather than walls. Rather than borders, let us look at distant horizons together, in the common spirit of the value and dignity of a shared personhood as citizens of this great nation. And from what I can tell from my own experience there in Murfreesboro, they are really embodying this as a congregation. The space itself welcomes you in no matter who you are and encourages to ask questions about where you are to shed light on a belief system that is so widely misunderstood. Even as I pulled into the parking lot I was struck by the fact that it sits within spitting distance of a Baptist church and the two buildings look like they belong next to each other physically and theologically. It’s a strong symbol alone that two such places can exist side by side in this country. I, unfortunately, arrived at a time when only the janitor was around. I have since been trying to get in touch with Imam Bahloul to ask him some more questions about the center there, but he is in the middle of leaving his position there to focus on more academic work so I have not been able to talk to him as much as I would have liked. But I can understand even from my very brief correspondance with him that no matter where he goes or what he does he is working to bring people together and doing everything in his power to present a positive, more true image of Islam to the world. I pray that whoever the Center there finds to replace him will be able to continue to build on everything that he’s already done. 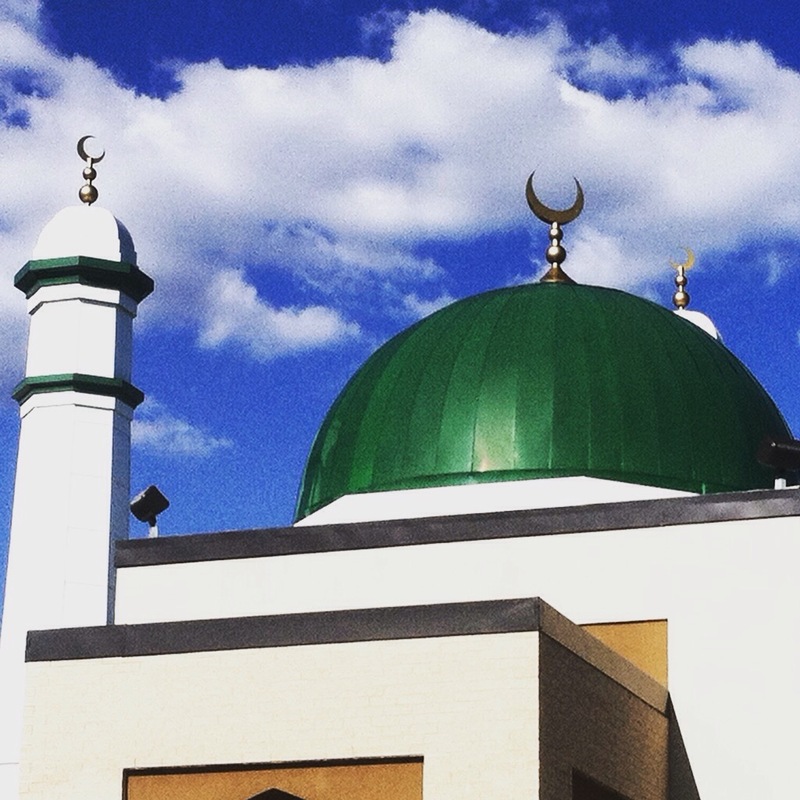 The mosque in Murfreesboro is just one example of the many, many mosques all across the US that are full of devote followers of Islam who believe in peace, in freedom, and in solidarity with other faiths. These places don’t get near enough attention. They are essential institutions for our communities and important parts of our republic. They are sacred and they people that worship there are our brothers and sisters. The sooner we all realize that, the sooner we can all know peace. Until then, I’m happy to stand with them and look at distant horizons together.